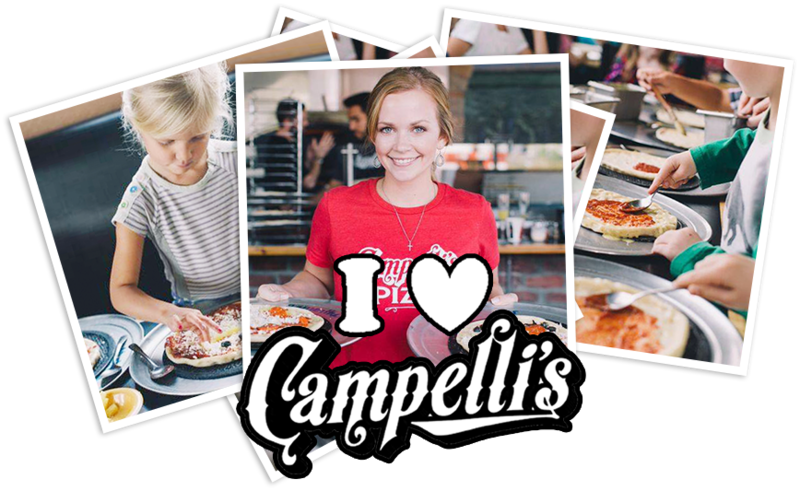 Welcome to the online home of Campelli's Pizza Parlor in Roseville, California ! 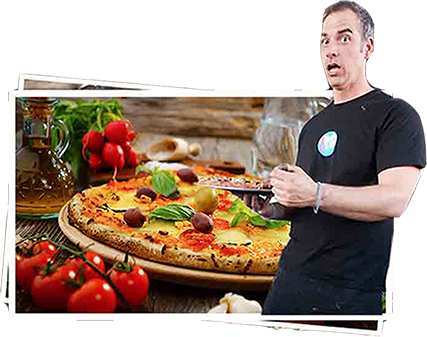 Our family is proud to offer authentic brick-oven pizza using dough made fresh daily with only the highest quality toppings and ingredients! 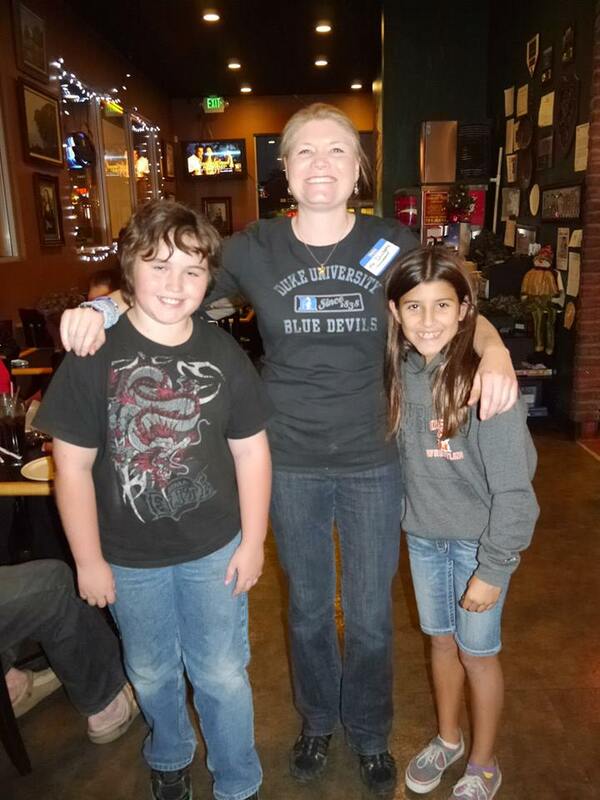 We are a family owned and operated restaurant, and we are honored to be involved supporters of our community. Whether you are looking for hot, fresh take out or delivery ~ or for a family friendly place to dine in, we are the perfect fit! Our beautiful dining room offers fun board games for kids and kids at heart, and we have 42” HD Plasma TV’s playing all your favorite sports events! We have local ice cold beer on tap, fantastic wines, fresh salads and appetizers…and don’t forget to save room for dessert! We offer great discounts for catering large groups, businesses, churches and schools, and we would love to help you make your next event a success! We invite you to check our “Community” section of the website where you can find ways to help us give back through sponsorships, fundraisers and local community organizations! At Campelli’s Pizza ~ We Serve It the Way You Deserve It! Ashley & Jared Campbell – Proprietors! 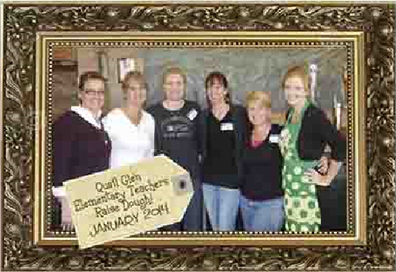 Are you looking for a fun twist on a classic fundraiser? Have your teachers, pastors, coaches, or service club members join our staff for the night, making pizzas and serving you! Our “Raise Dough” fundraiser just got a LOT more fun. Email Ashley today to book any Tuesday night for your schol, church, team or comunity group to take over Campelli’s! 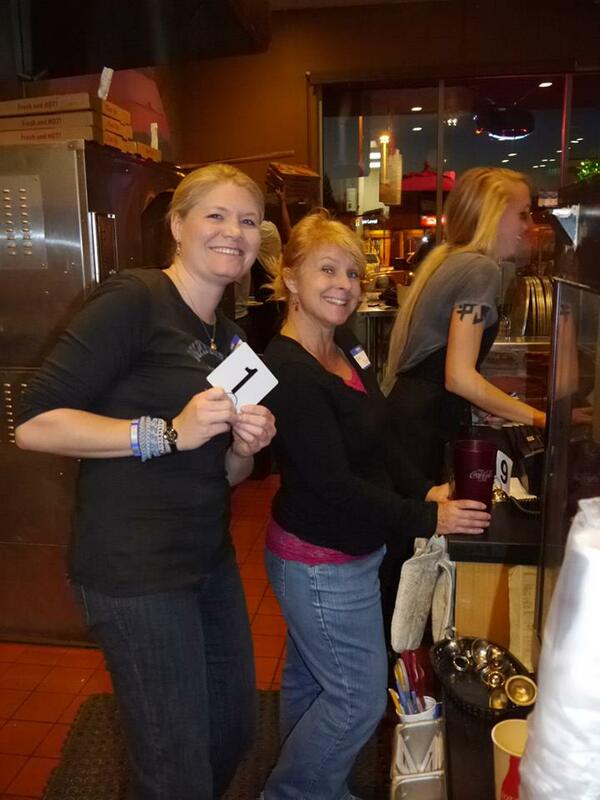 20% of all pizza sales go back to your group, and you get to enjoy seeing your favorite local leaders working their tails off for YOU! 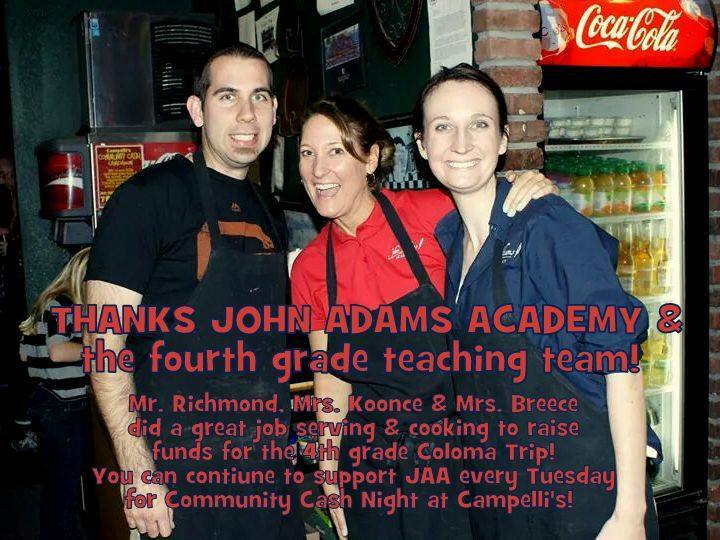 [email protected] to reserve your fundraising Tuesday night today! 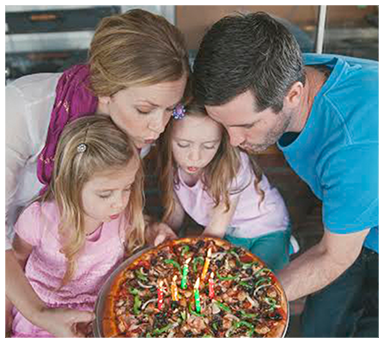 Owners Jared and Ashley Campbell have been serving pizza together locally since they met back in 2004. With a passion for restaurants, pizza and community, the pair shared a dream of owning their own place. In early 2008, two dreams came true with the birth of their first restaurant in March, and oldest daughter in April. Now parents of two daughters, the Campbell’s have watched their families grow both at home and in the shop. Sun - Thurs, 11:00 a.m. - 9:00 p.m.
Fri - Sat, 11:00 a.m. - 10:00 p.m.